This business has been locally owned since 2007 and has been operating ever since. With over 28 years of experience and loving to help people with their dreams to refinish or remodel their home. We are family owned with my wife doing the office side and me working in the field with my team. Finishing your basement gives you additional living space and adds value to your home, so whether you just need an extra bedroom or want a tricked out basement with all the bells and whistles, the sooner you call the sooner you’ll be enjoying your additional living space. Remodeling your kitchen or bathrooms will bring new life to your home and will make it more appealing when you are ready to sell. So many people wait until they are about to sell their home before they make the decision to upgrade. So whether its just getting new countertops or a full blown remodel, why not do it now while you have time to enjoy it. We won’t be offended if you just want us to come over to give you some ideas and get a feel for what you would need to budget based on the scope of the remodel you are considering. And we won’t be hounding you if you need to put the job off for a while. We’ve been around a long time and we’ll be here when you’re ready for your home improvements, so call for your free estimate today. 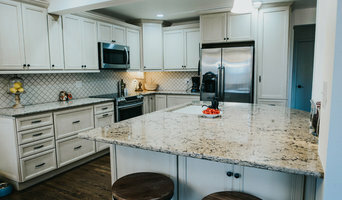 We have combined expertise of more than 50 years in the construction and remodeling industries and have been in business as a custom home builder for 40 years. We've been in the Colorado Springs area for more than 20 years and we enjoy helping customers get more efficient windows and doors and seeing the finished product. Serving the Colorado area since 1990. Caring for our clients and their projects is top priority. I'm an expert stone mason. I've worked on many multimillion-dollar homes, from start to finish, creating staircases, fireplaces, mail boxes, columns, arches, pools, BBQ grills, and any other home ideas. 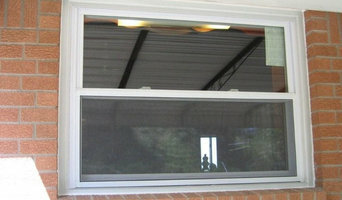 We specialize in the remodeling of the older homes in the downtown area. Kitchens, bathrooms, additions, decks, carpentry, fences, tiling, handyman tasks, etc... You name it and we can probably do it, and do it well. We here at Colorado Living consider it an honor anytime someone considers us for their home improvement needs. Whether you're looking to replace your windows, siding or simply convert a tub into a walk-in shower we feel your appointment with us should be a relaxed, pleasant and informative experience. You can rest assured Colorado Living Design Consultants have been trained to be the ultimate home improvement house guest. We are not a high pressure company, we fell it is our job to educate you and help you enjoy your easiest home improvement project ever. 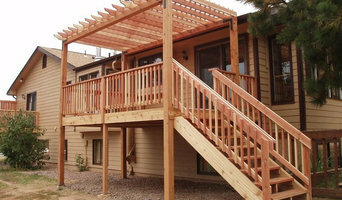 Jeremy Ferranti is a licensed Class A-1 Unlimited Building General Contractor based in Monument, Colorado. American Restoration Inc. is here to help when disaster strikes. 24 hour EMERGENCY response team. Water and fire damage mitigation and reconstruction. At Mountain View Handyman Services I understand you don't have the time to handle it all yourself, so give me a chance to prove my knowledge and ability as your personal service repairman to keep your home in top looking and working condition. Feel free to give me a call or email for an appointment. I will provide the professional expert attention you and your home deserve, multi-tasking at my best. General maintenance. Preserve existing conditions from minor restorations to full renovations. I’d like to introduce myself to you, my name is Brad Haenlein. I have been in the construction business since 1972. During this time I have worked in both new home construction and the warranty division for numerous volume and custom homebuilders. My experience includes structural frame carpentry, exterior siding, interior finish, cabinetry, doors and jambs including casings, baseboards, chair rail and crown moldings, crossing over into the technical fields of electrical, plumbing, and mechanical systems. I subcontracted on my own for many years doing remodeling and additions. I branched into the handyman business in 2003 and my goals are to serve customers with quality craftsmanship, timeliness, and cost effectiveness on single day and small contractor jobs. Are you ready to take the leap and remodel your home? If you’re thinking about building an addition to your home, finishing your basement, adding a garage, renovating your kitchen, or even adding a deck or patio, let us create the space you are looking for! 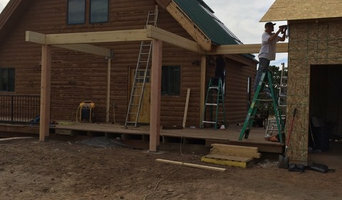 As Colorado Springs home remodeling specialists with over 35 years of expertise, N Bar B Construction is a fully licensed and insured General Contracting company with a A+ rating with the Southern Colorado BBB, ready to tackle any home renovation project.